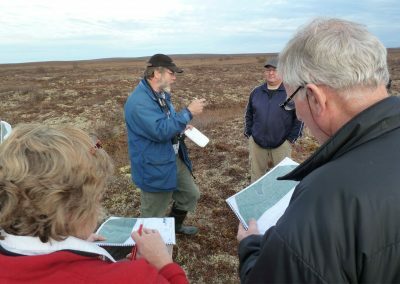 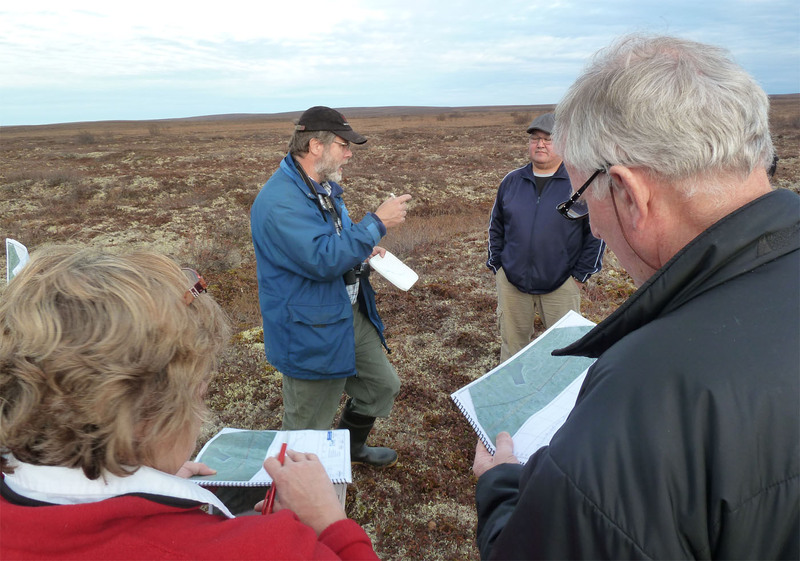 EIRB members and staff took a trip to examine the land where the Inuvik-Tuk highway would be constructed. 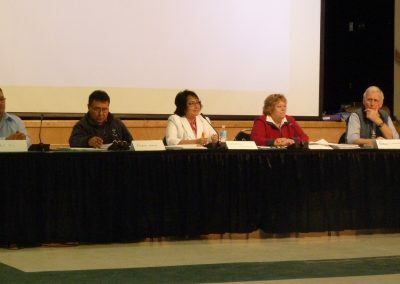 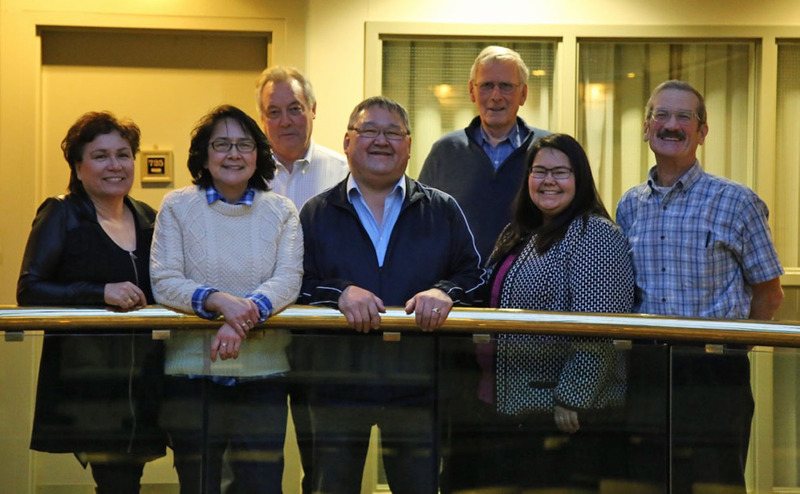 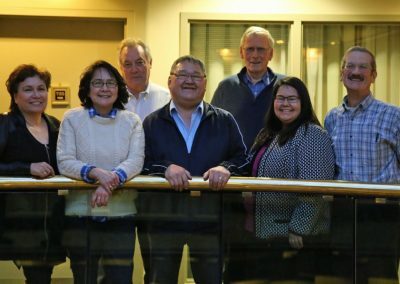 From left, Ethel-Jean Gruben, Catherine Cockney, Jon Pierce, Herbert Felix, Bruce Chambers, Crystal Lennie, Jim Umpherson. 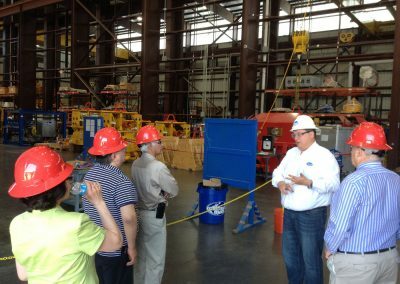 Brett Morey, left, explains the use of the equipment to the EIRB. 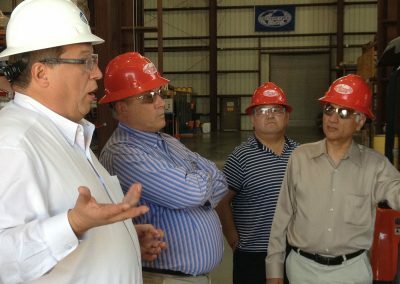 Jon Pierce, Herbert Felix, Bharat Dixit. 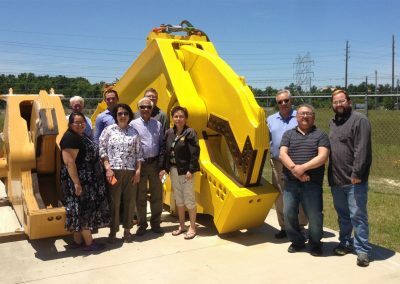 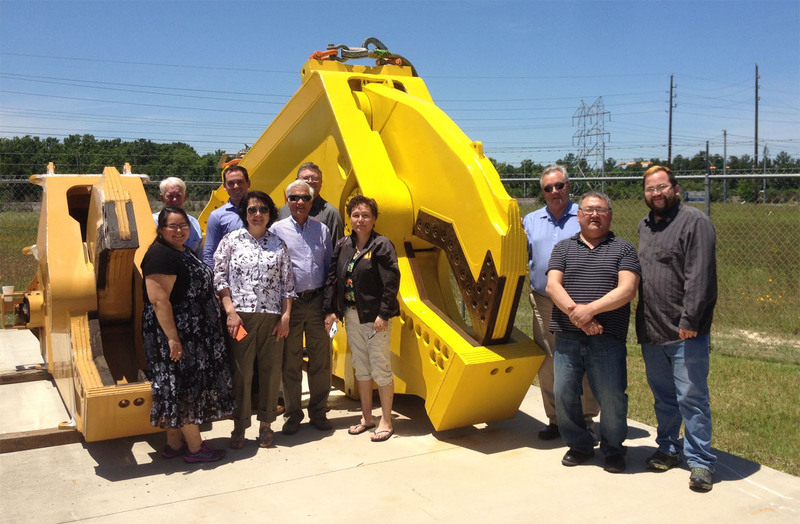 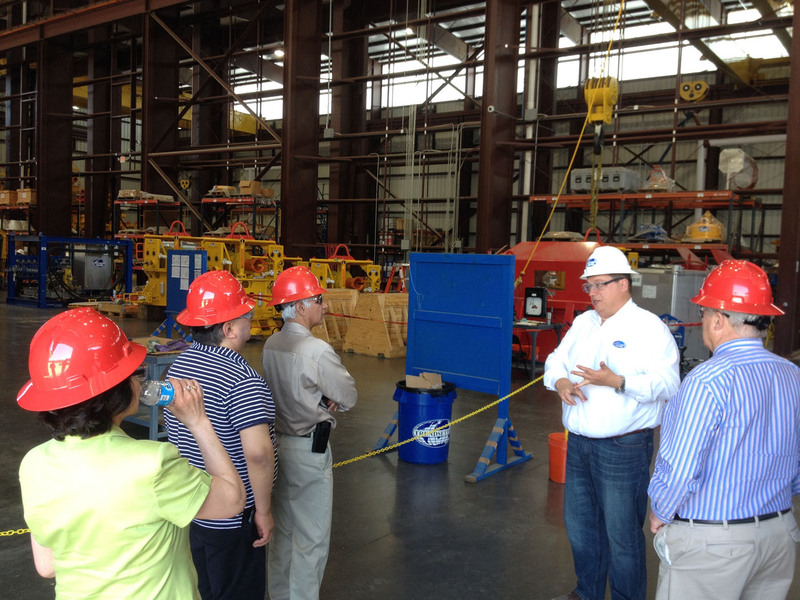 The EIRB members and staff were able to see the actual shear clamps used in cutting the riser pipes during the Macondo blowout in 2010. 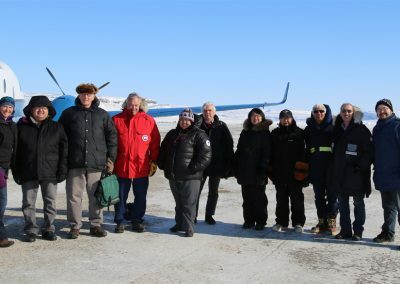 EIRB members and staff on the community tour in 2015. 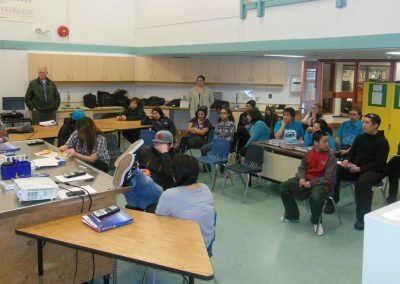 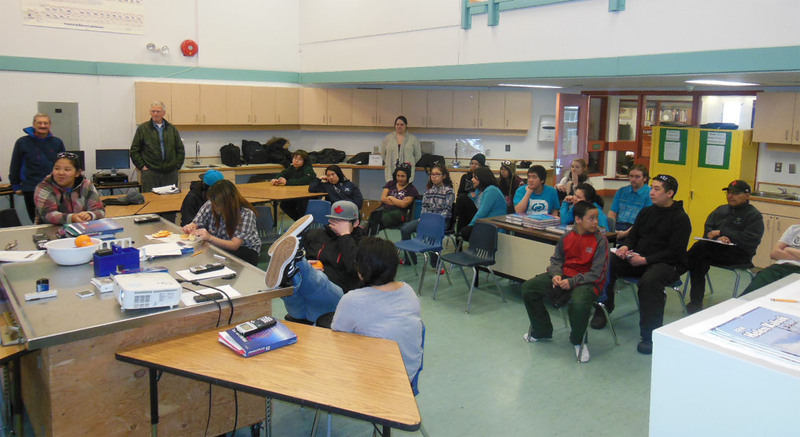 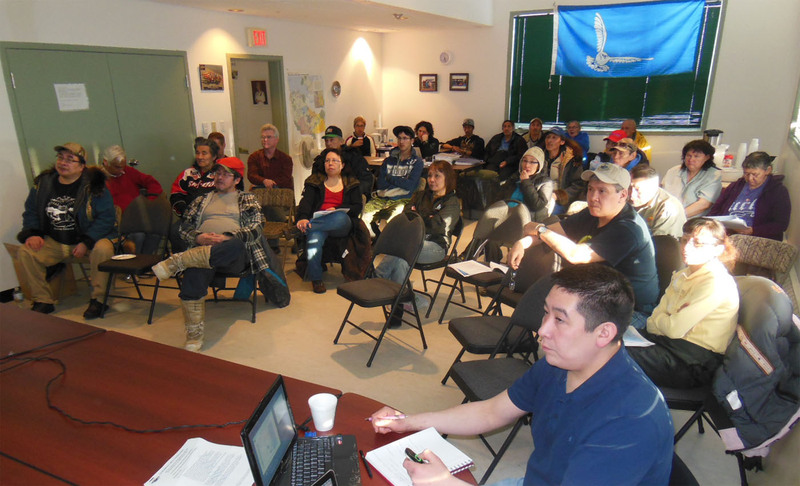 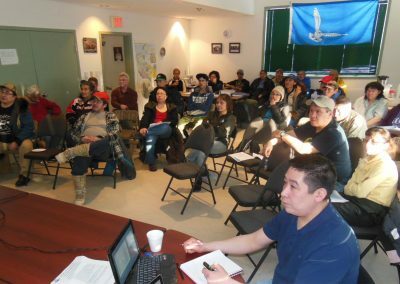 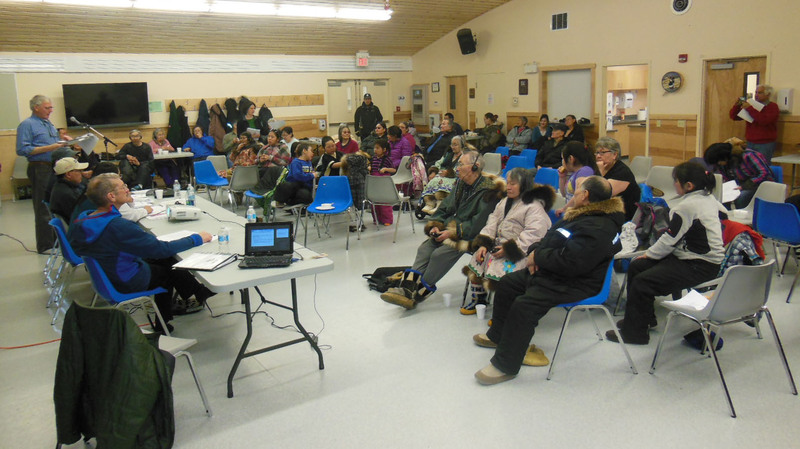 A community information session in Ulukhaktok during the community tour of 2015. 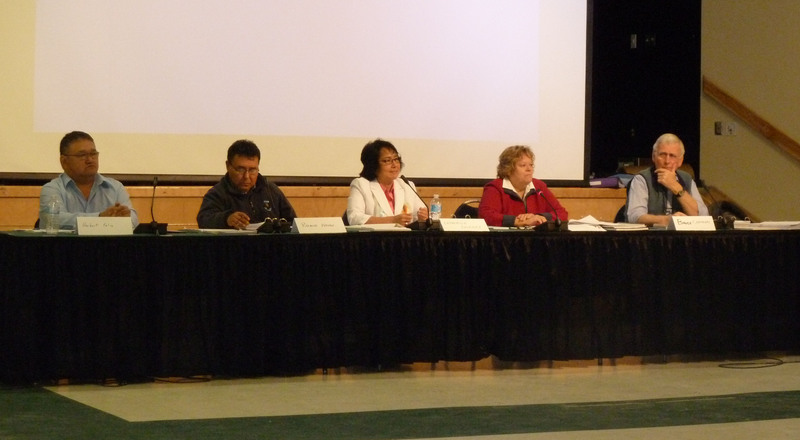 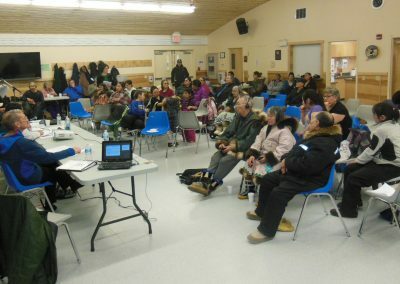 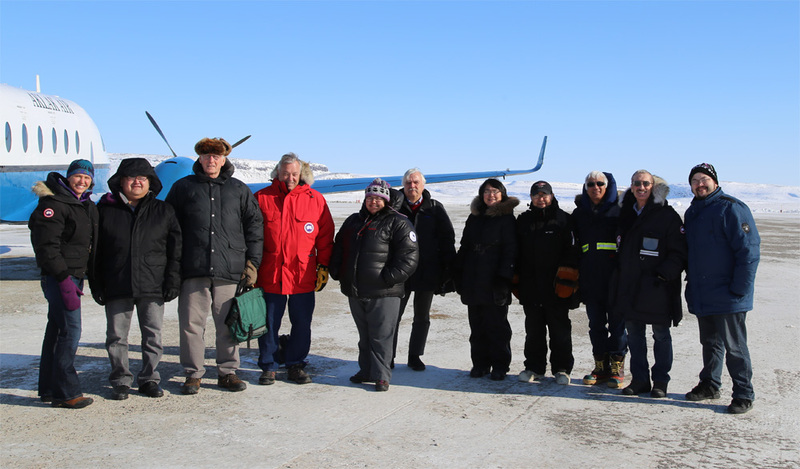 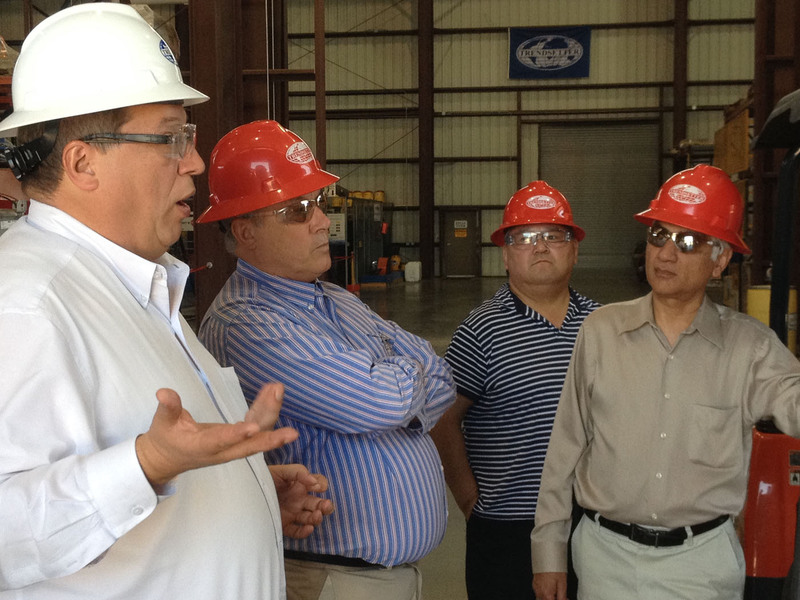 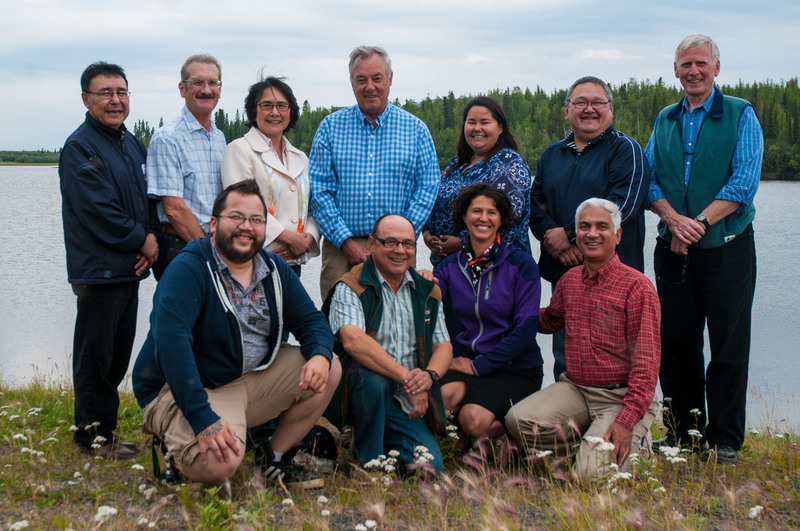 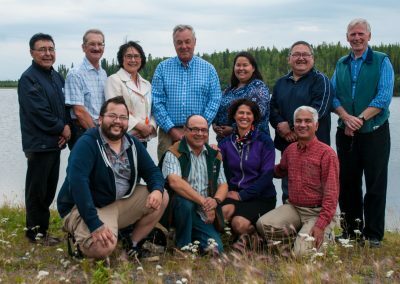 The board members met with community members while on tour in Paulatuk in 2014.